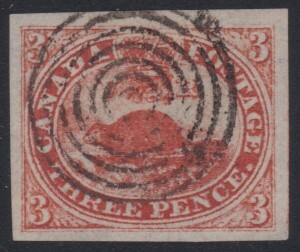 Lot 1 Canada #1 1851 3d red Beaver on Laid Paper, used, with an ideal target cancel. 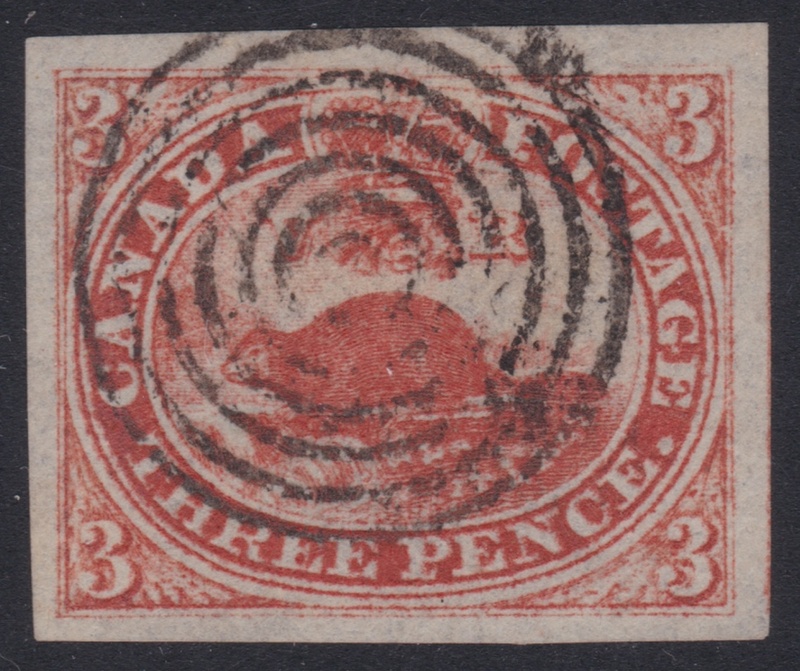 Well centered among four large margins, showing part of adjoining stamp at right. Crisp, clear impression and extremely fine. Accompanied by a 2006 Greene Foundation certificate. Unitrade CV$1,600.